France has said a ban on live pigs, offal and fat that was imposed by Moscow a year ago would be lifted for France in the coming weeks. BRUSSELS/PARIS — Poland led EU criticism of bilateral farm deals with Moscow on Monday following a French accord with Russia to lift its ban on live pig and pork imports, saying they broke the "principle of European solidarity". Pressure is mounting on the European Union to consider tougher sanctions on Russia following an upsurge in fighting in Ukraine. European Union foreign ministers will meet in emergency session on Thursday. France, meanwhile, has said a ban on live pigs, offal and fat that was imposed by Moscow a year ago would be lifted for France in the coming weeks. The EU-wide embargo followed an outbreak of African swine fever in the east of the EU and was separate from an embargo imposed by Moscow in August last year on food imports from Western countries, in response to U.S. and EU sanctions on Russia over its role in the Ukraine crisis. Poland’s Agriculture Minister Marek Sawicki in a letter, seen by Reuters, to his counterpart from Latvia, current holder of the rotating EU presidency, said he was "deeply disappointed" at the news of bilateral agreements with Russia. A diplomat who asked not to be named said the Lithuanian prime minister would also write a letter objecting to bilateral deals. "The pick and choose principle is dangerous. It allows Russia to divide and rule," the diplomat said. A meeting of EU farm ministers in Brussels on Monday debated the issue after Poland led push for it to be on the agenda. Diplomats and EU officials said the European Commission told the meeting trade policy had to be agreed by the bloc as a whole. The Commission, the EU executive, is challenging Russia’s ban on pig products in relation to African swine fever at the World Trade Organization. But Commission officials said that still did not justify bilateral agreements with Russia, which had to be "based strictly on EU frameworks". A spokesman for the French farm minister stressed that talks on the lifting of the embargo were purely technical and were done by veterinary services, not at a political level. 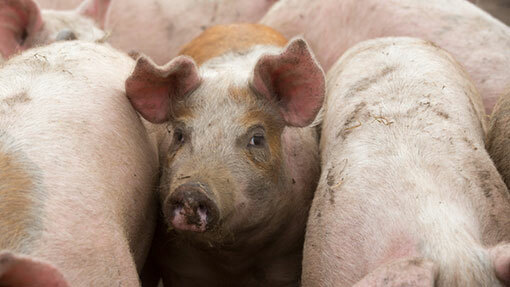 The ministry has said Russia represented a market of 100 million euros ($112 million) for French pig farmers.